Collaborator seamlessly integrates with the Team Foundation Server (TFS) version control system. This section provides a general overview of integration preferences, ways to review files controlled by TFS, and so on. Files controlled by Team Foundation Server. TFS integration uses TFS client applications that are already installed on the client computer. That is, integration supports all protocols, authentication settings, proxies, and other configuration specifics. To enable the integration via GUI Client and Command-Line Client, we use Team Foundation Server SDK to communicate with Team Foundation Server. Team Foundation Server versions 2010 through 2018 are supported. Click Add to create a new SCM configuration. In the subsequent SCM Configuration dialog, specify the local source code location. Then, select Team Foundation Server in the SCM drop-down list. Client configuration settings depend on whether you use a self-hosted version or a SaaS version of Team Foundation Server – known as Visual Studio Team Services. If you use the latter, then you will need to set-up alternate authentication credentials at first and then use those credentials for Collaborator clients. See below for configuration instructions. You may choose to skip setting these options. In this case, these parameters will be set as defined in the environment. TFS User The name of Team Foundation user. For SaaS version of Team Foundation Server, specify alternate primary user name. TFS User Password The password of the user. For SaaS version of Team Foundation Server, specify alternate password. Once ready, click Validate to make sure the integration is operational. After that, a new configuration for TFS will appear on the main screen of the GUI Client. Add Changes – Upload modified files from the TFS workspace to the Collaborator server and add them to a review. Add Shelvesets – Upload files in a shelveset to the Collaborator server and add them to a review. If you want to upload a shelveset that does not belong to your list of shelvesets, use Add Changesets. 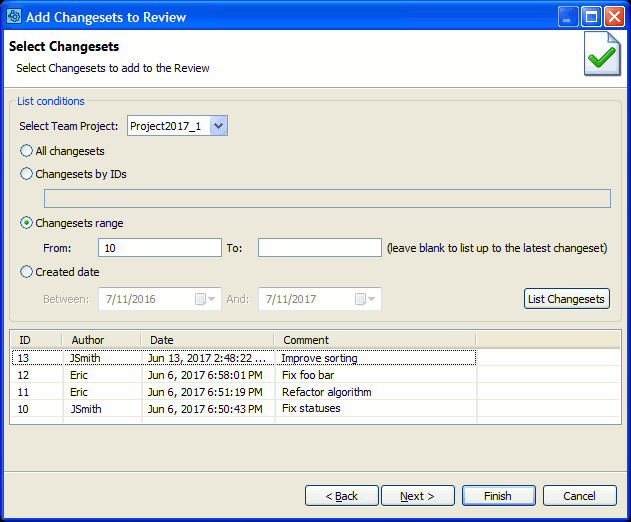 Add Changesets – Upload files in a changeset to the Collaborator server and add them to a review. In the dialog, you can select whether you want it to display all available changesets, input IDs of specific changesets, changelists within a specific range or data interval. If you use Visual Studio Team Services (a SaaS version of Team Foundation Server), then you will need to set up alternate authentication credentials at first and then use these credentials for Collaborator clients. Login to your Visual Studio Team Services account (https://your-team-services-account-name.visualstudio.com). Click Your Account in the top-right corner of the page. Add new credentials. Collaborator clients use basic (user name and password) authorization. Remember your primary user name and alternate credentials password. Enter your Visual Studio Team Services account URL (https://your-team-services-account-name.visualstudio.com) in TFS Collection URL field. Do not include project name, collection name (or anything else) into the account URL. Enter your alternate primary user name in TFS User. Enter your alternate credentials password in TFS User Password. In the Command-Line Client, you can create a review for changes you have applied locally to files controlled by TFS – before uploading these to the version control repository. 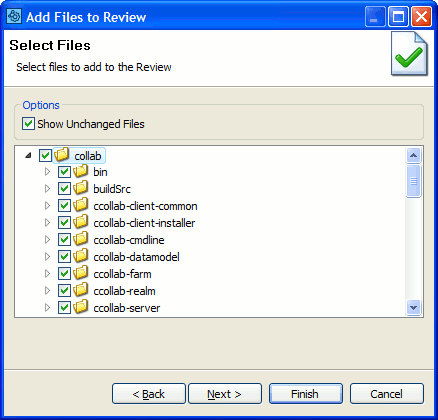 ccollab addchanges - Attaches locally-modified files to a review. ccollab commit - Commit changes in the review. The addchanges command will upload local changes to files controlled by Team Foundation before they are checked in. The addchangelist command will upload the files in a shelveset or changeset. In most cases, the Command-Line Client can automatically detect your Team Foundation configuration. Try testing your configuration to verify the configuration is detected correctly. If the Command-Line Client is unable to detect your Team Foundation configuration or you want to override the detected settings, you can manually specify Team Foundation settings using global options. Client configuration settings depend on whether you use a self-hosted version or a SaaS version of Team Foundation Server known as Visual Studio Team Services. If you use the latter, then you will need to set up alternate authentication credentials at first and then use these credentials for Collaborator clients. See configuration instructions. For self-hosted version of Team Foundation Server, specify the URL of Team Foundation Project Collection to work with. For SaaS version of Team Foundation Server, specify the URL of your Visual Studio Team Services account (without project or collection names). The name of Team Foundation user. For SaaS version of Team Foundation Server, specify alternate primary user name. The password of the user. For SaaS version of Team Foundation Server, specify alternate password. Collaborator provides special triggers that fire when someone submits files to a folder that is controlled by a gated check-in process in Team Foundation Server. These triggers are listed in the table below. 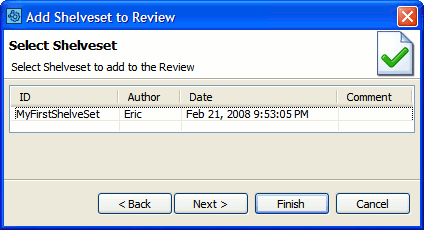 ensure-review-started Ensures that a review has been started (created in Collaborator) for the submitted changelist. ensure-completed Ensures that a review has been completed for the submitted changelist. These triggers work for Microsoft Team Foundation System 2018, 2017, 2015 and 2013. Currently, Update 1 and Update 1 Release 2 of Team Foundation System 2015 are not supported. Download the .zip archive from the page mentioned above and unpack it to some folder on your computer. The archive includes the dlls folder that have the dynamic-link libraries for the supported Visual Studio versions. Also, the archive includes a README file with instructions similar to those you can see below. Collaborator uses the (@"Review:*\s? (\d+)") regular expression to extract the review id from the commit information. This text can appear inline with other text or in a more formal form-style layout. Replace the DLLs in the Plugins folder with their fresh copy. This will force TFS to re-read the web.config file. Additionally to version control integration with Team Foundation Server, you can enable integration with TFS work items. This will allow synchronizing reviews and work items addressed in that reviews, appending the issues to the Remote System Links section of the review and retrieving the current status of the item. See Issue-Tracking Integrations: Overview for more information. The Team Foundation Server integration will not work with non-English installations of Visual Studio .NET. Regional settings for other locales are supported, but installing a non-English Visual Studio prevents correct parsing of the TF command line output. When using Team Explorer Everywhere clients, our client will need access to the server for changelist information without being prompted for a password. To do this you will need to save your login information to your credentials cache using the TF_AUTO_SAVE_CREDENTIALS environment variable, which is documented here. Once you have set this you will need to use a mutating command (such as checkout, checkin, and so on) and enter your credentials one more time for it to stick. Review Screen, Diff Viewer, Eclipse Plug-in and Visual Studio Extension display atomic changelists (changesets in terms of TFS) in chronological order (from older to newer), regardless the order in which they have been uploaded to review. If you have "gaps" while adding subsequent atomic changelists (changesets in terms of TFS) to the same review. For example, add changelists 1, 2, and 4, but forget to add changelist 3. If you add pending changelists from different workspaces to the same review. If you add several diffs (non atomic changelists) to the same review.